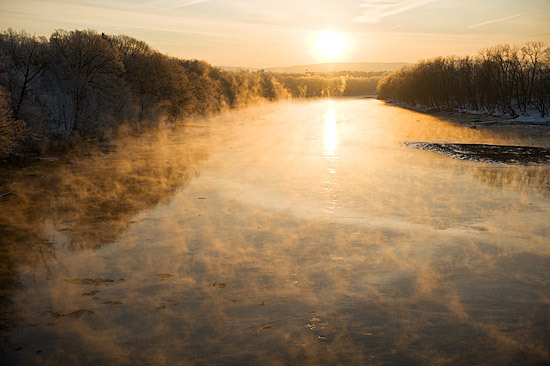 A Connecticut River sunrise. How cold was it? Single digits. 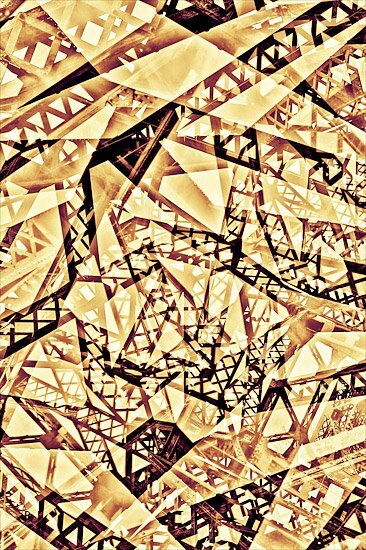 I encourage my students to photograph every assignment from multiple perspectives. Diverse results can be channeled to diverse markets creating multiple revenue streams. 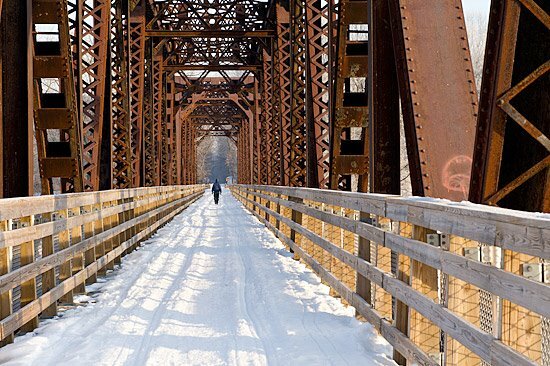 For the stock photography market: A lone person walks on this railroad bridge converted to a bike path. 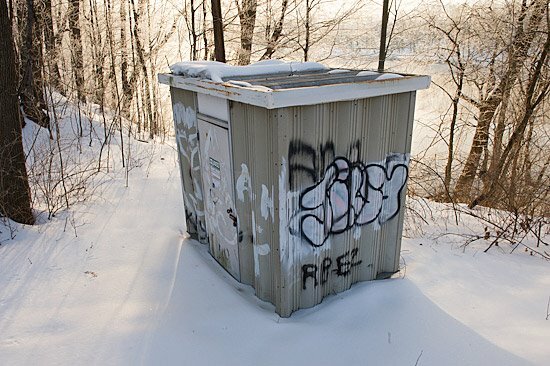 For the textbook and magazine market: A graffiti encrusted United States Geological Survey Stream Gaging Station. Warming up in my car after an hour of joyous, frosty shooting, and no longer visually entranced with the beauty of the morning, I actually yelped in pain as my body began telling me how cold it was. I felt like a deep sea diver decompressing after being in the depths.